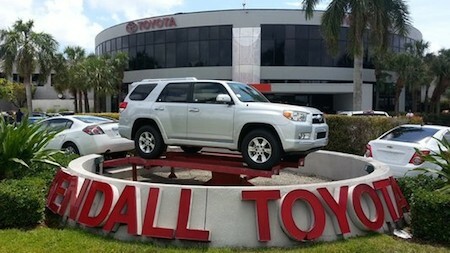 Welcome to Kendall Toyota, the Capital of Toyota! We are conveniently located at 10943 S. Dixie Hwy Miami, FL 33156. On behalf of our staff, thank you for visiting our website and giving us the opportunity to serve you. We specialize in new and used sales, complete vehicle service, collision repairs, and parts and maintenance. Our commitment to perfection is exceeded only by our commitment to offering you the highest level of satisfaction! Our professional and well-trained staff is ready to assist you with all of your automotive needs! We strive to make sure each and every one of our guests has a positive car-buying experience. We have a diverse array of associates on staff who speak variety of languages including Spanish, Russian, Vietnamese, French, Italian, Portuguese, Chinese, Arabic, Indi and Creole in addition to English. When you buy a car with Kendall Toyota, it’s personal! We take pride getting to know our customers; their likes, dislikes, wants and needs. We also highly value any comments you might have to offer and encourage you to forward any suggestions you may have to our Internet Director. After you visit our Service Department, you’ll never take your car anywhere else! We know that servicing and maintaining your vehicle properly is crucial to extending its life, and we’re dedicated to satisfying our customers before and after they drive off our lot with their new car. 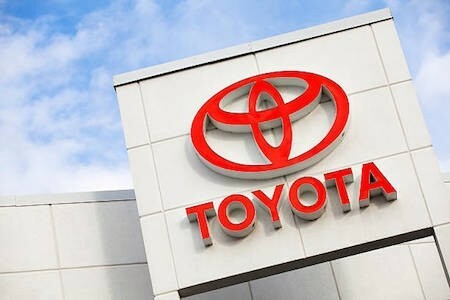 At Kendall Toyota, all of our parts, service and body technicians are certified with Pros Status, and our Service Department is equipped with all the best repair technology available. We promise to have your repair or service completed in a timely, affordable manner. Jump to head of the line and schedule an appointment on our website today! The Parts Department at Kendall Toyota is here to help you with any improvements or modifications to your vehicle! Our friendly staff is full of experts who would be more than happy to answer any questions that you might have. We keep genuine OEM parts in our inventory, in addition to fun gadgets like GPS devices; but if we don’t happen to have the specific part you need, we can order it for you and guarantee a timely delivery. Browse our Accessories Catalog and be sure to check out our Parts Specials for new ways to save money!